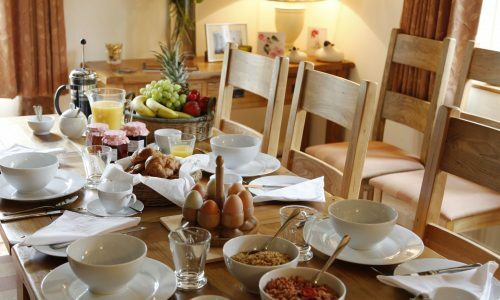 Our guests love Anna’s breakfasts – just look at our reviews! There’s a selection of fresh fruits and juices, cereals, porridge, meusli and granolas with cream or yoghurt. Plus free-range local eggs cooked exactly how you like them, with best bacon, tasty sausages tomatoes and more. There are delicious home made jams and preserves plus local artisan breads, toast and croissants. Of course we offer options for vegetarian, gluten-free, dairy free or whatever you prefer. If you need to rise very early it”s no problem – we will prepare a breakfast of your choice, left ready for you on the kitchen breakfast bar. 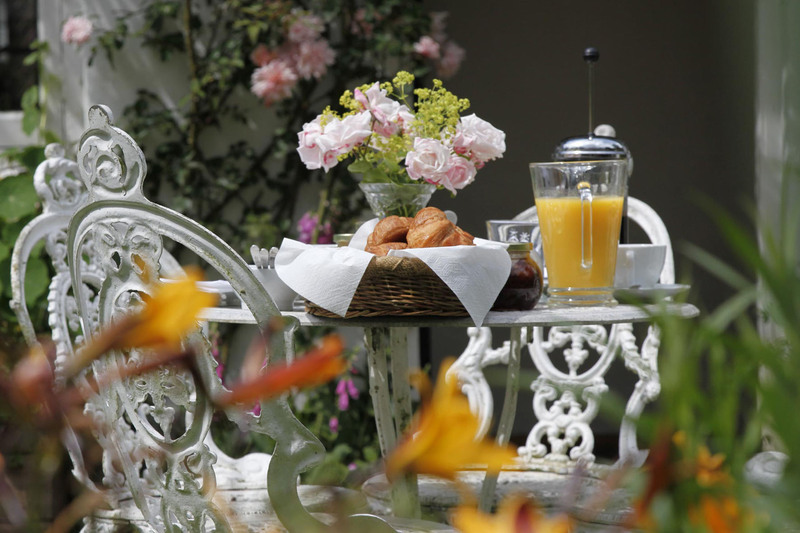 And on a warm summer morning you are welcome to enjoy your breakfast in our award-winning cottage garden.